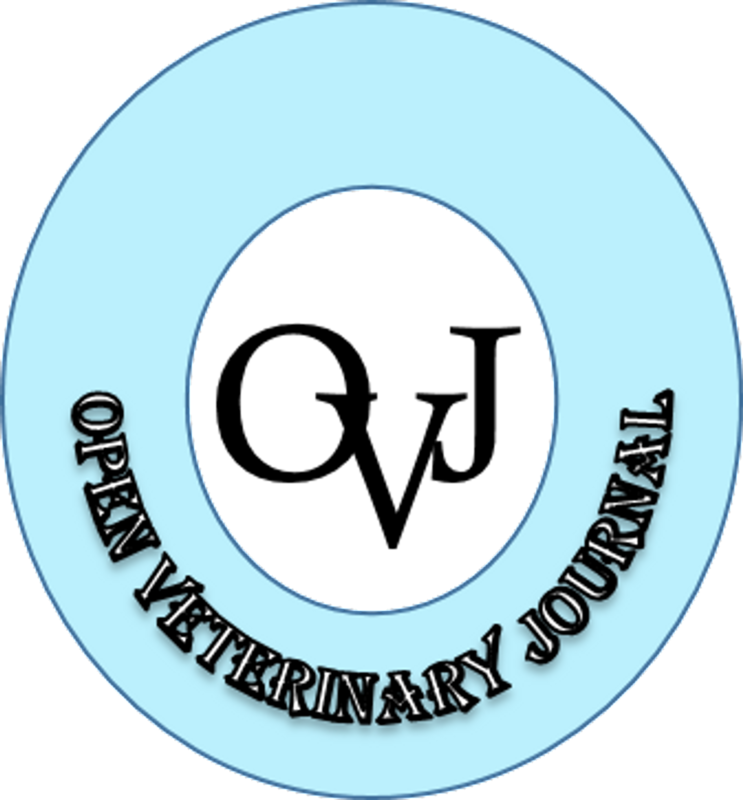 Open Veterinary Journal is printed and electronic peer reviewed international journal committed to upholding the highest standards of publication ethics. In order to provide our readers with a journal of highest quality we state the following principles of Publication Ethics and Malpractice Statement. All articles not in accordance with these standards will be removed from the publication if malpractice is discovered at any time even after the publication. Open Veterinary Journal is checking all papers in a single-blind peer review process; Submitted manuscripts for publication are single-blind peer-reviewed: reviewers are aware of the identity of the authors, but author(s) are unaware of the identity of the reviewers. We also check for plagiarism and research fabrication (using PlagScan) as Open Veterinary Journal reserves the right to use plagiarism detecting software to screen submitted papers at all times; falsification (manipulation of existing research data, tables, or images) and improper use of animals in research. In accordance with the code of conduct we will report any cases of suspected plagiarism or duplicate publishing. Open Veterinary Journal is committed to the highest standards of publication ethics and takes all measures against any publication malpractices. All parties involved in publishing - the authors, the journal editors, the peer reviewers and the publisher - agree with standards of ethical behavior. Authors must ensure that they have written original works. In addition they must ensure that the manuscript has not been published elsewhere. Any work or words of other authors, contributors, or sources should be appropriately credited and referenced. Authors are also responsible for submitting articles in English. Authors submitting their works to the journal for publication as original articles confirm that the submitted works represent their authors’ contributions and have not been copied or plagiarized in whole or in part from other works without clearly citing. Any work or words of other authors, contributors, or sources (including online sites) should be appropriately credited and referenced. All authors should disclose financial or other conflict of interest that might influence the results or interpretation of their manuscript (financial support for the project should be disclosed). When an author discovers a significant error or inaccuracy in his/her own published work, it is the author’s obligation to promptly notify the journal editor and cooperate with the editor to retract or correct the paper. An author agrees to the license agreement before submitting the article. All articles must be submitted using online submission procedure or by sending your article as an email attachment. Submitting a paper simultaneously to more than one publication at a time is a breach of publications ethics. Editors must ensure a fair single-blind peer-review of the submitted articles for publication. They will strive to prevent any potential conflict of interests between the author and editorial and review personnel. Editors will also ensure that all the information related to submitted manuscripts is kept as confidential before publishing. Editor-in-Chief will coordinate the work of the editors. Reviewers evaluate manuscripts based on their contents. They must ensure that all the information related to submitted manuscripts is kept as confidential. They must evaluate the submitted works objectively as well as present clearly their opinions on the works in a clear way in the review form. Reviewers must bring to the attention of the Editor-in-Chief any information that may be reason to reject publication of a manuscript. A reviewer who feels unqualified to review the research reported in a manuscript or knows that its prompt review will be impossible should notify the Editor-in-Chief and excuse himself from the review process.